This weekend, comic book movie talk is obviously going to center on Captain America: The Winter Soldier, and we’ve still go The Amazing Spider-Man 2, X-Men: Days of Future Past, and Guardians of the Galaxy yet to come this summer. 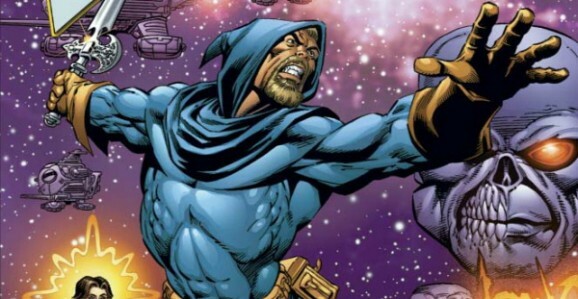 But there are always more comic properties to talk about, from AMC’s The Walking Dead to DC’s Batman Vs. Superman, and now we have a new one, as Benderspink and Illuminati are joining forces to bring Jim Starlin’s Dreadstar to the big screen. A favorite cult title from the 1980s, Dreadstar follows the story of Vanth Dreadstar, because that is an awesome name if I’ve ever heard one, and why wouldn’t you want to know what kind of adventures he’s having? He is the last remaining survivor of the Milky Way, which has been torn asunder by the clash between two evil sides, the Monarch and the Church of The Instrumentality. But don’t worry, Vanth is not alone. As you would expect he has a crew of odds and ends and misfits at his side. His team includes a mystic, Syzygy Darklock, another find moniker; Willow, a telepath; and a sort of cat-man named Oedi. That last one sounds a little like Garfield mixed with Red Dwarf. 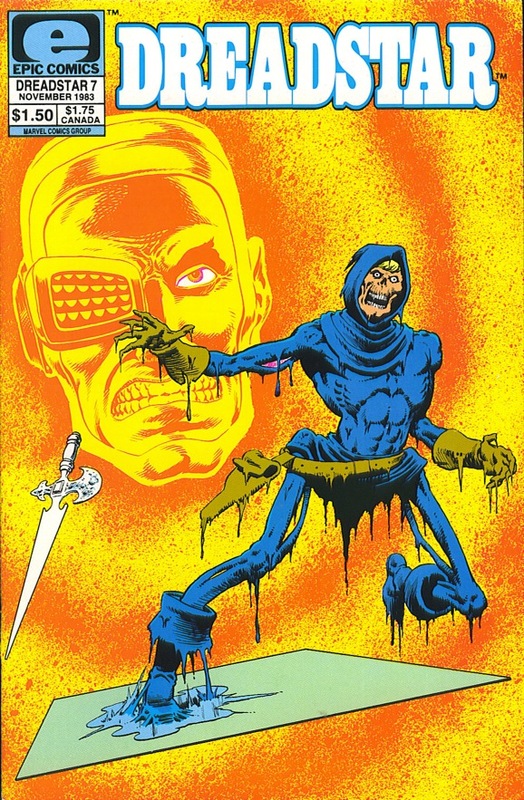 Before getting his own book, Dreadstar first appeared in Epic Illustrated, Marvel’s Heavy Metal style anthology title. Starlin created the character, but this ain’t his only space rodeo, and his work is about to have a huge impact on the larger Marvel Universe. In addition to work on Iron Man and Captain Marvel, he also came up with characters like Thanos, the Mad Titan, who we saw at the end of The Avengers, as well as Drax the Destroyer and Gamora, both of whom will play key roles in the cosmic adventure Guardians of the Galaxy later this summer. Right now this is all the detail that we have right now. There’s no timeline for the picture, as the duo will be looking for a writer, a studio, a financier, and all of the usual stuff that goes into making a movie.